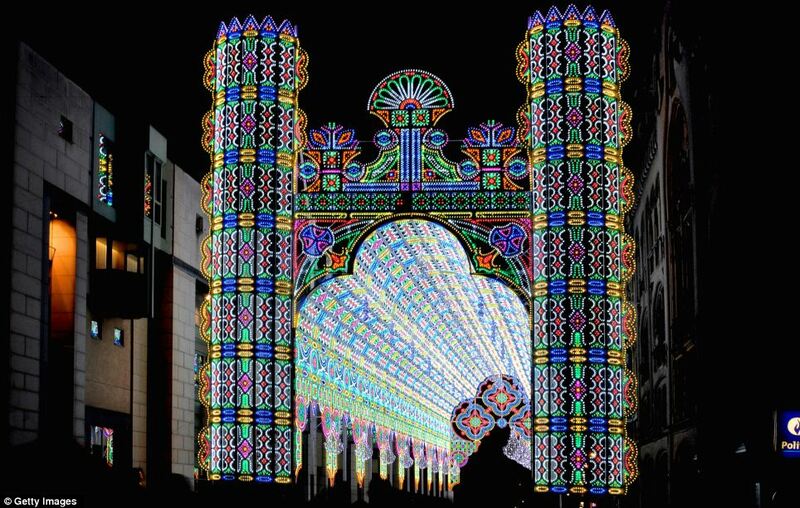 The light cathedral was created by italian company Luminarie De Cagna. 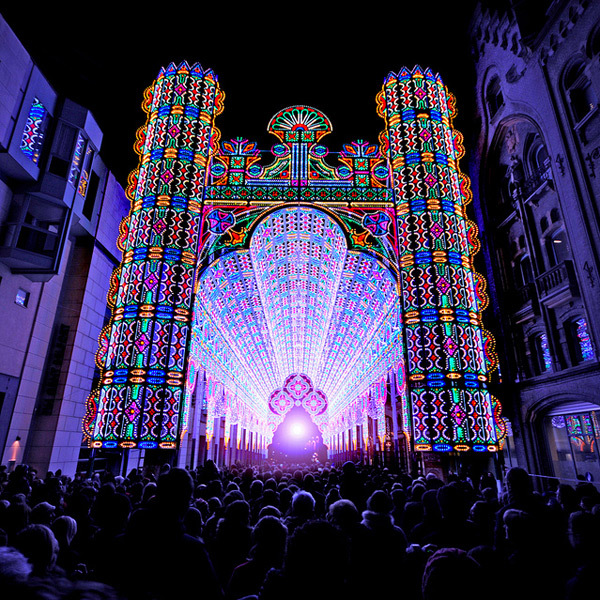 It is a cathedral made from 55,000 LED lights for Ghent Light Festival in Belgium. This spectacular building reaches 28 meters of height. I guess you wonder how much does it cost them to keep it all shining so bright. 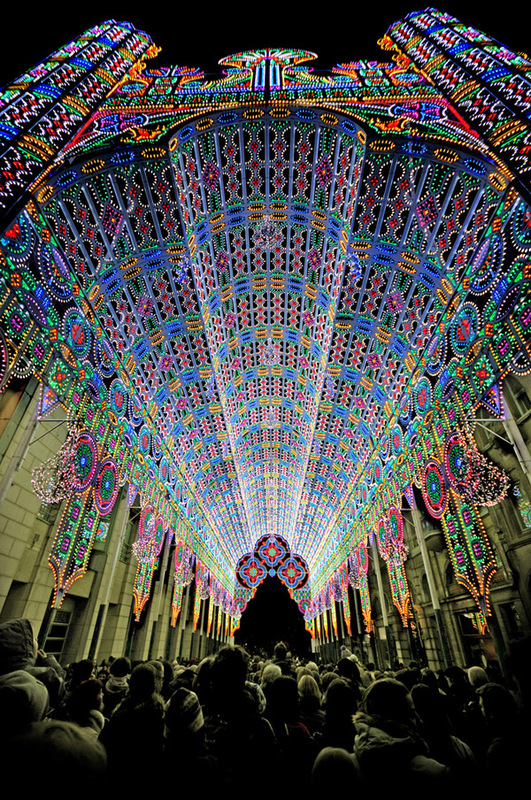 However, all the thousands of LEDs actually consume only 20 Kwatt/h. 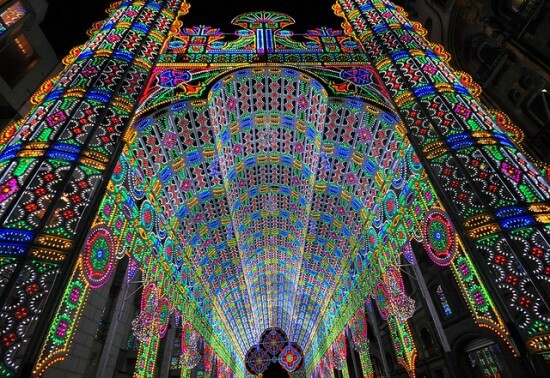 Containing elements of Romanesque and Renaissance architecture, the church is one big piece of art and it creates contrast between past and present by its medieval arches and LED lights. Talking about the festival, it was meant to be about happiness and music. 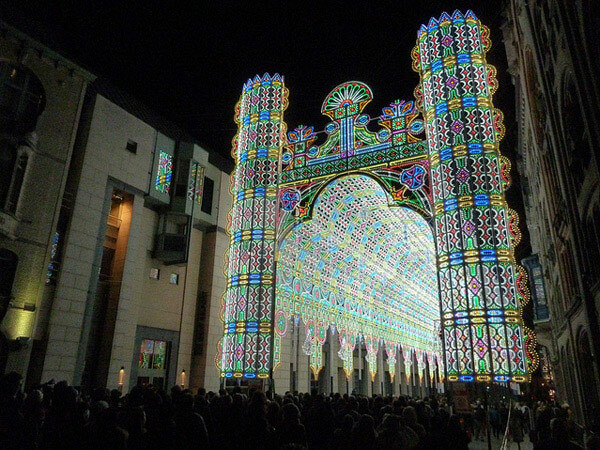 The festival contained over 30 various exhibitions like 3D projection mapping, fields of luminous flowers, a glowing phone booth aquarium and one of them, the main part of festival, as you already guessed, was the spectacular cathedral – a real beauty at night.